It looks like two of the most popular Rydell High students may be getting back together! According to Olivia Newton-John, a Grease reunion might be happening in the somewhat near future between her and John Travolta. That means there have been talks. And when there are talks? There’s promise. Really, we have no idea why Newton-John and Travolta would turn down the idea. Newton-John started talking about it when it was mentioned that the 40th anniversary of the film was fast approaching. In fact, the film will be turning the big 4-0 in June of next year. "We are thinking up ways. Nothing to announce yet," she told The Mirror. 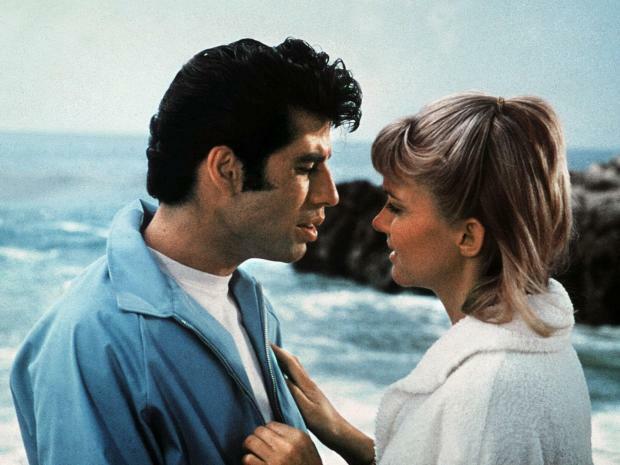 "Forty years anniversary of Grease, which I can't believe. Time goes so fast. It is so exciting." Indeed it is. In fact, maybe if word gets out, more alum might join in. Wouldn’t it be great to see the gang back together again? Of course, singing should be involved. Since when you have Sandy and Danny, catchy lyrics often follow. While Travolta has been a bit more visible the past few years, Newton-John has still been keeping busy. She’s been credited as working as a performer on various television shows, including Who’s Doing the Dishes? and Atop the Fourth Wall. Newton-John and Travolta were both in their 20s when Grease hit theaters back in 1978. While a lot of time has passed, we have no doubt that these two still have their dance moves down.